Being conscious of and intentional with your time is critical as an entrepreneur. Laura Vanderkam is the authority on time-management and will walk us through her tips to make sure we’re maximizing our time on this episode of the Profit First Podcast! 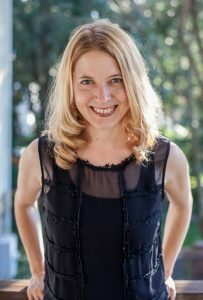 Laura Vanderkam is the author of several time-management and productivity books, including Off the Clock, I Know How She Does It, What the Most Successful People Do Before Breakfast, and 168 Hours. She is the co-host, with Sarah Hart-Unger, of the podcast Best of Both Worlds. Her work has appeared in publications including the New York Times, The Wall Street Journal, and Fortune. She lives outside Philadelphia with her husband and four children, and blogs at LauraVanderkam.com.